Input the parameters as the prompt of script above，press “y” if you confirm parameters above. 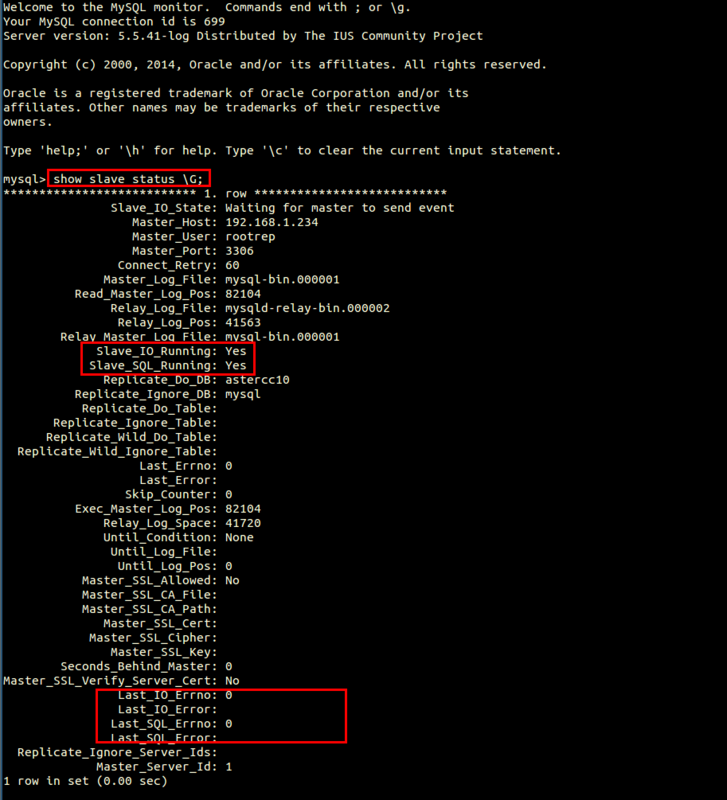 As shown below，the values of “Slave_IO_Running” and “Slave_SQL_Running” are “Yes”，and others are normal.It is demonstrated the synchronization of database is available. 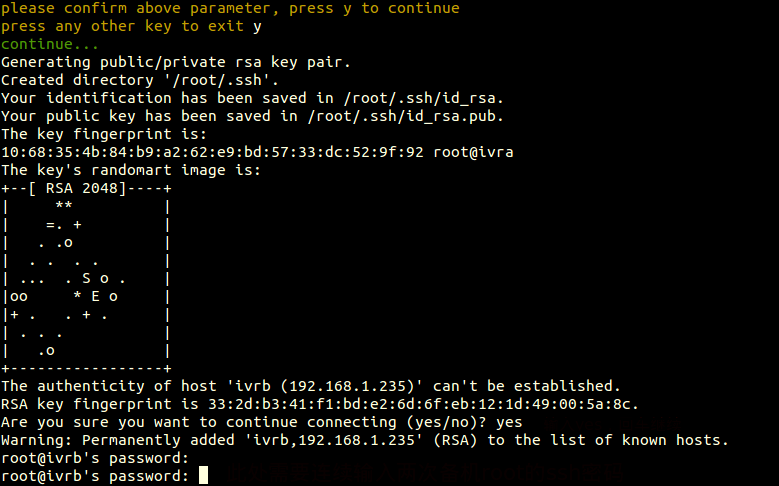 And then，remove the “abc” file on master server，and check the file whether was also deleted in slave server. 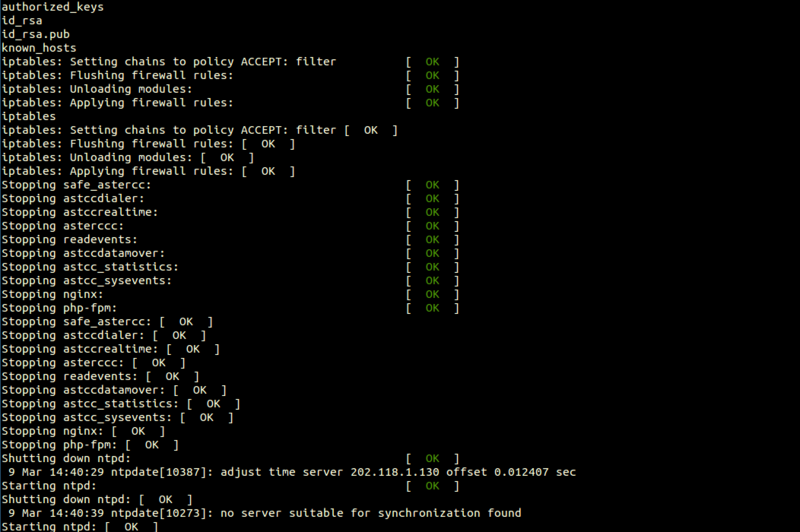 Last，test function of switching between master and slave server. Cluster：At least three servers running simultaneously，the master server run all services，include：PBX，CTI，database，WebService，slave server will run PBX，CTI，database backup，others run PBX and CTI.Although all of the servers run PBX and CTI simultaneously，they use one database，and same configuration of PBX and CTI.We can operate on master server，the database and web services supported to other servers via a virtual IP.The slave server will take over database and web services from master when master is abnormal. 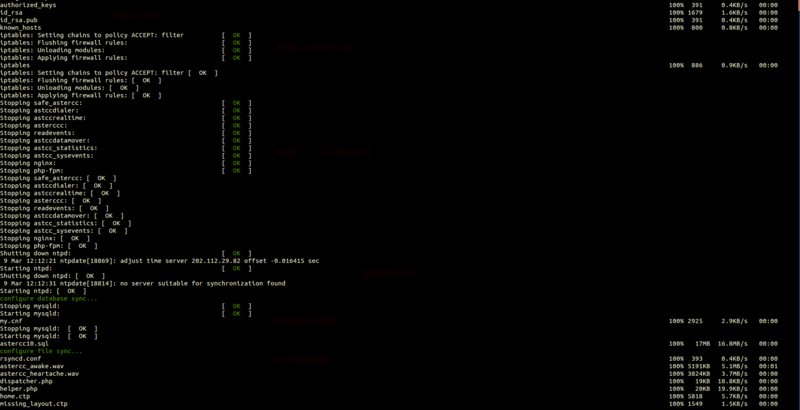 eth0：Service IP：192.168.1.234 (Used in trunk and device registration). 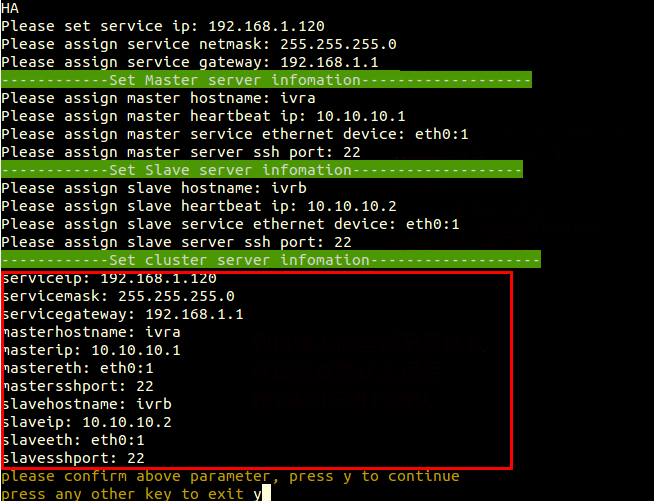 eth0:1，the name of virtual NIC，this is primary IP of master server：192.168.1.120(used in database and web services). eth0：192.168.1.235 ，the primary IP of PBX service(Used in trunk and device registration). 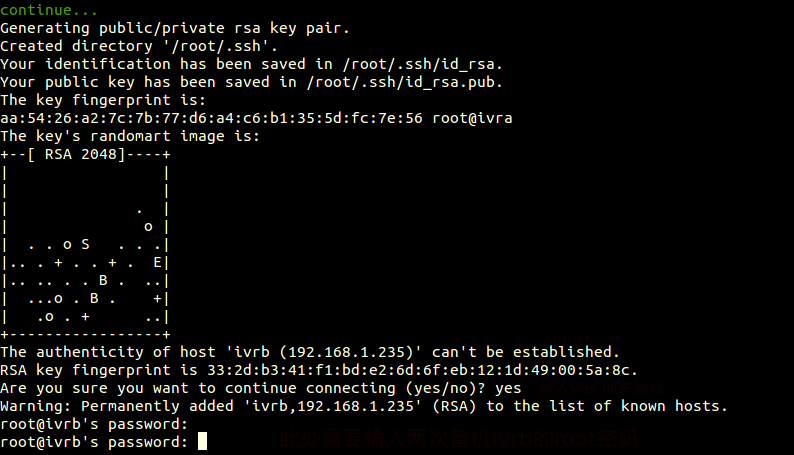 eth0:1，the name of virtual NIC，it is disabled default. eth1：192.168.1.245，the NIC of PBX service. Then poweron the slave server and other servers after the master server is restarted completely.